Capacity: Continuous chain of 10 Children. Minimum age to ride: 2 years (at operators discretion). Area Required: 6 metres x 10 metres. 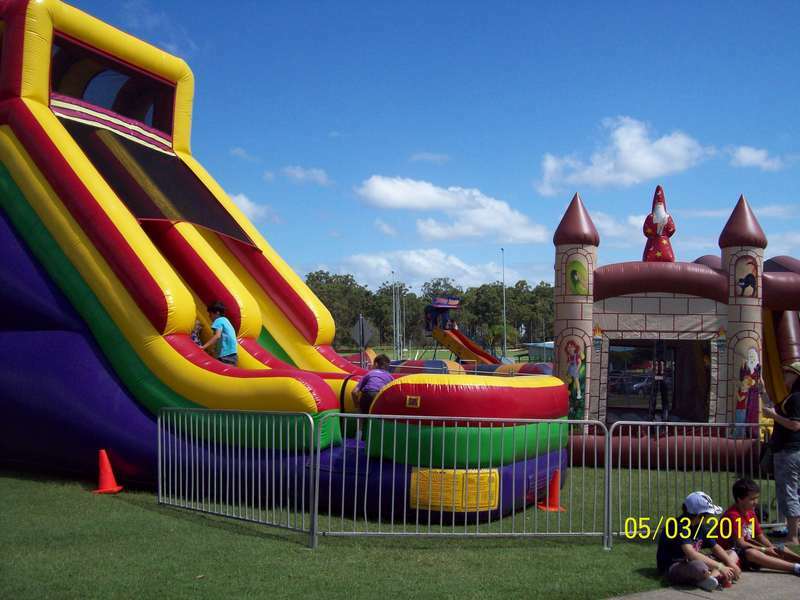 The all-new 26-foot screamer, the latest in inflatable slides, is designed to handle crowds of children. It also complies with all the new Australian Safety Standards. Children climb up the ladder/stairs, then go rocketing down the giant slide screaming all the way to the bottom. Fun and safe.